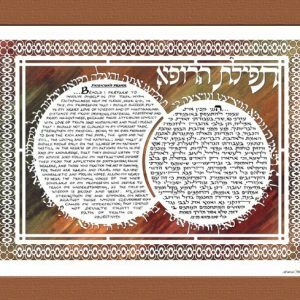 Categories: Gifts for Community Leaders, Gifts for the Jewish Home, Gifts for the Professional, Great Gifts for the Holidays!. 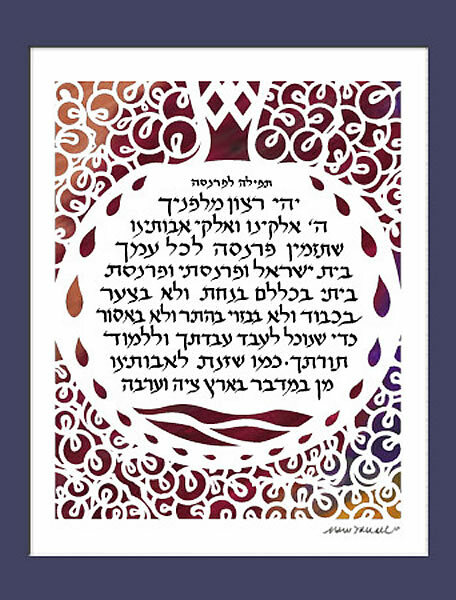 Tags: Bracha For Parnasa, Gift For business, Jewish Papercuts, Judaica gifts, Marci Wiesel, Prosperity Prayer, ברכה לפרנסה. 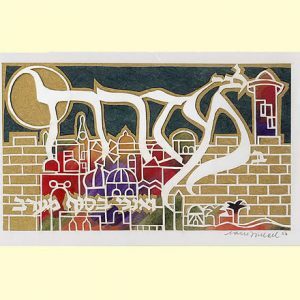 This Jewish papercut prayer for prosperity, ברכה לפרנסה, by Marci Wiesel, implores G-d to provide a livelihood for one’s self, one’s family, and all of G-d’s people. 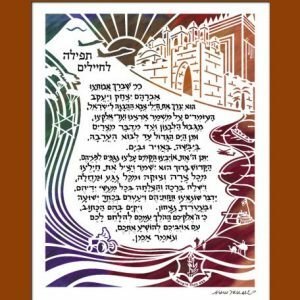 Prosperity should rain down from the heavens just as the manna did in the desert as the Jews journeyed from Egypt towards the Land of Israel. This enlarged image of the pomegranate, one of the seven special fruits of Israel, focuses on its rich abundance of seeds. Pomegranate seeds are often used to represent good deeds, vibrancy, fertility, wealth and prosperity. The top of a pomegranate resembles a crown, representing G-d’s majestic glory. 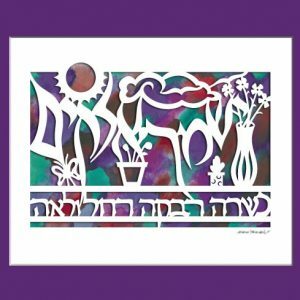 Surrounding the calligraphy text, “manna” in the form of dew drops comes down from the heavens to nourish the dry and arid desert.